The day Ryan Baderwalked into The Ultimate Fighter house for season 8 of the reality show, he had seven fights to his name and status as an All-American wrestler from Arizona State. Bader did very well for himself on the show and then knocked out Vinny Magalhaes to become TUF 8 winner in his eighth professional fight. Since that time, Bader has faced some highs and lows in his UFC career. First reeling off four more wins after capturing the reality show title before tougher times struck with back-to-back losses recently. Keeping a positive outlook, Bader sees all of his past experiences as growing pains because he knows he literally learned how to fight while competing at the highest levels in the UFC. “You kind of grow up in the UFC and, to be honest, coming to the UFC and winning the show and all that, I was just a wrestler and knowing a little bit of stand-up,” Bader admitted when talking to MMAWeekly Radio. The learning curve seemed to crash into a brick wall in Bader’s last two fights. 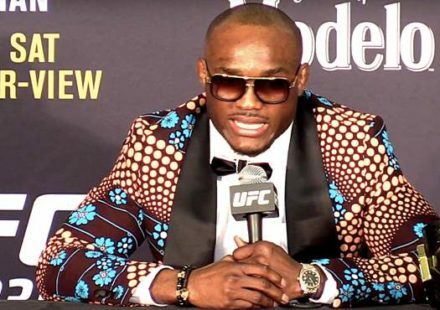 The Arizona based fighter suffered back-to-back losses to Jon Jones and Tito Ortiz, but he still takes away the positives from both fights to keep moving forward. The fight with Tito Ortiz was particularly telling because Bader thought he had the right idea going into the fight, but after getting clipped with a punch and then submitted on the ground, it made him re-evaluate the way he was training and getting ready for fights. “I learned a lot of things from that fight. 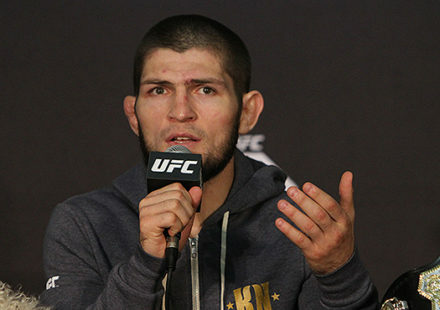 Every time you’re stepping in the Octagon you’re gaining experience, and you just learn from that, but a couple things I did in that fight, and earlier in my career boxing wise. I ended up getting a few new coaches, like tailor made more for me. Not just doing what different coaches wanted because it worked for them. I’ve been having a lot of success with it,” Bader explained. Part of the training smarter was adding a head coach onto the team at Power MMA & Fitness in Arizona. Bader, along with teammates Aaron Simpson, C.B. Dollaway, and other investors opening the gym, had plenty of specialized coaches on staff, but no one person specialized in MMA to bring it all together. Bader and his teammates started to seek out the right coach that could serve as the glue to hold all the pieces together, and recently they found the man for the job. Now they all believe they have the missing piece of the puzzle. “We had a head coach come in from Albuquerque, Tom Vaughn. He’s been around the game; he knows the little stuff. I’ve been in this game a while now and been around a lot of people, and I’m learning so much working with him. 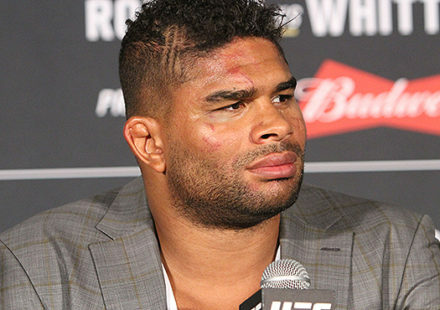 Just breaking stuff down and the little stuff,” Bader said. 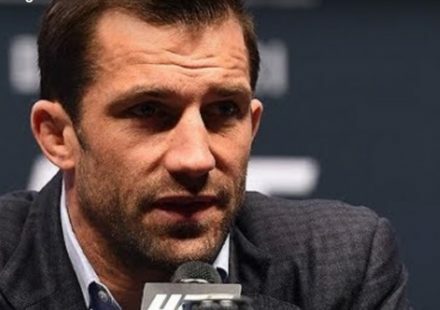 Vaughn has been coaching MMA for more than a decade and was one of the people most responsible for Carlos Condit making his fast rise up from his teenage years all the way to when he won the WEC welterweight title a few years ago. Now with Vaughn in charge of the day-to-day practices, game planning, and coaching, Bader is ready to show off the new and improved version that’s being sculpted. Now don’t expect Bader to start throwing flying triangles or spin kicks any time soon, but the new version is just a more dangerous and refined version than what walked into the Octagon just a few months ago. “You can’t change everything just because you have a couple losses. You’ve got to use what got you there, and you’ve got to go out and just fight and not worry about what happens. Just worry about going out there and implementing what you trained on and winning. I’m a better fighter than I was in my last fight, and I just want to go out there and fight,” Bader stated. 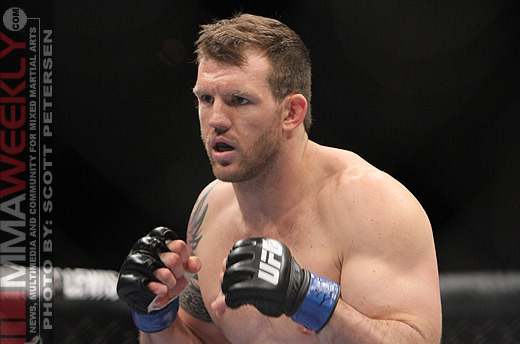 There’s no simpler way to say what Ryan Bader hopes to accomplish in his fight with Jason Brilz at UFC 139 than what he said himself.